Sola Sisters: What does the Hebrew word "day" in Genesis 1 mean? What does the Hebrew word "day" in Genesis 1 mean? 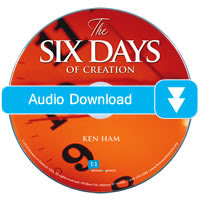 ➤ Can the Hebrew word “day” in Genesis 1 mean anything other than an ordinary 24-hour day? ➤ Why do so many Christian leaders reject the clear teaching of Genesis 1 about ordinary days?